The Elstead Artisan Aged Brass Double Wall Light fearures attractive knot twist detailing. The Elstead Artisan Black Double Wall Light fearures attractive knot twist detailing. The Elstead Austen Solid Brass Bathroom Wall Light is in a Polished Brass finish with a ribbed glass shade. The Elstead Austen Solid Brass Bathroom Wall Light is in a Polished Chrome finish with a clear glass shade. The Elstead Austen Solid Brass Bathroom Wall Light is in a Polished Chrome finish with a globe glass shade. The Elstead Austen Solid Brass Bathroom Wall Light is in a Polished Chrome finish with a ribbed glass shade. The Elstead Austen Solid Brass Bathroom Wall Light is in a Polished Nickel finish with a ribbed glass shade. The Elstead Avon Above Mirror Bathroom Wall Light is in a polished chrome finish and is IP44 rated. The Elstead Avon Bathroom Single Wall Light is in a polished chrome finish and is IP44 rated. The Elstead Binstead Single Bathroom Wall Light is in a Chrome finish with an opal glass shade. The Elstead Blake Solid Brass Bathroom Wall Light is in a Polished Brass finish with a clear glass shade. The Elstead Blake Solid Brass Bathroom Wall Light is in a Polished Chrome finish with a clear glass shade. The Elstead Blake Solid Brass Bathroom Wall Light is in a Polished Nickel finish with a clear glass shade. 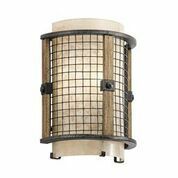 The Elstead Bluffton Wall Light is in an Oil Rubbed Bronze finish with a perforated screen shade. The Elstead Brinley Wall Light is in a Brushed Nickel finish with a glass "jam Jar" shade. The Elstead Brooke Above Mirror Triple Bathroom Wall Light is in a polished chrome finish and is IP44 rated. The Elstead Brooke Bathroom Single Wall Light is in a Polished Chrome finish and is IP44 rated. The Elstead Cambridge Solid Brass Single Wall Light is in a Burnished Brass finish. The Elstead Carabel Double Wall Light is in a Brushed Champagne finish with elegant, pierced metalwork. The Elstead Carroll Solid Brass Bathroom Wall Light is in a Polished Brass finish with a ribbed glass shade. The Elstead Carroll Solid Brass Bathroom Wall Light is in a Polished Chrome finish with a clear glass shade. The Elstead Carroll Solid Brass Bathroom Wall Light is in a Polished Chrome finish with a ribbed glass shade. The Elstead Carroll Solid Brass Bathroom Wall Light is in a Polished Nickel finish with a ribbed glass shade. The Elstead Lighting Chawton Large Picture Light is in an Aged Brass finish. The Elstead Lighting Chawton Medium Picture Light is in an Aged Brass finish. The Elstead Lighting Chawton Small Picture Light is in an Aged Brass finish. The Elstead Lighting Chawton Large Picture Light is in a Black finish. The Elstead Lighting Chawton Medium Picture Light is in a Black finish. The Elstead Lighting Chawton Small Picture Light is in a Black finish. The Elstead Lighting Chawton Large Picture Light is in a Dark Bronze finish. The Elstead Lighting Chawton Medium Picture Light is in a Dark Bronze finish. The Elstead Lighting Chawton Small Picture Light is in a Dark Bronze finish. The Elstead Lighting Chawton Large Picture Light is in a Polished Brass finish. The Elstead Lighting Chawton Medium Picture Light is in a Polished Brass finish. The Elstead Lighting Chawton Small Picture Light is in a Polished Brass finish. The Elstead Lighting Chawton Large Picture Light is in a Polished Nickel finish. The Elstead Lighting Chawton Medium Picture Light is in a Polished Nickel finish. The Elstead Lighting Chawton Small Picture Light is in a Polished Nickel finish. The Elstead Cheadle Bathroom Wall Light is a stylish polished chrome bathroom wall light. The Elstead Cirus Double Wall Light has curved Auburn Stained wood accents, an inner White shade and Brushed Nickel metalwork. The Elstead Cobson Single Wall Light is in a Natural Brass finish. The Elstead Cobson Single Wall Light is in an Olde Bronze finish. The Elstead Cobson Single Wall Light is in a Polished Nickel finish. The Elstead Collier Single Wall Light is in a Heritage Brass and conveys sleek elegance. The Elstead Concord Above Mirror Bathroom 4 Light Wall Light is in a polished chrome finish and is IP44 rated. The complete range of Elstead wall lights is available from Luxury Lighting. Elstead Lighting manufacture interior wall lights in contemporary and traditional designs to suit any decor. View the complete collection of Elstead wall lights below.